From 1 January 2018, the national parking laws are changing. One of the changes is that you now have to state exactly how long you are going to park for. The days when you needed to guess how long you’ll stay are over. 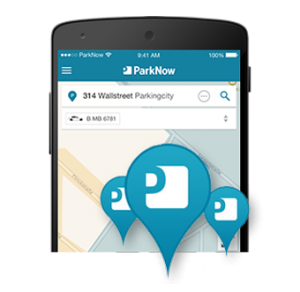 By using ParkNow you simply buy and extend parking time. ParkNow is the easy way to offer credit and debit card payments for parking. There’s no need to upgrade or change machinery and no complicated integration either. Implementing ParkNow will be the easiest task you do this year, we are here to help. With ParkNow you can pay for parking on the street and in car parks. No more searching for change and running to the parking meter. Simply pay cashless, ticketless and stress-free with the ParkNow app. If your perfect parking spot is on street simply select the duration for the time you want to stay. You can extend this duration wherever and whenever you want. We keep helping you to stay on top of your parking. Either way, make sure your vehicle details are correct, as this is how we recognise you have paid. Need a receipt? You can top up parking and print off your session details through the App.